Dubai, home to sun, sea, sand and deserts would at first seem an unlikely destination for a world-class snowsports team. But Ski Dubai, the city's indoor snowsports centre, has revealed plans to set up the UAE’s first ever ‘Snowsports Team’, bringing together the country’s most talented skiers and snowboarders. The facility has recruited former British snowsports children’s team coach Mike Barker to train the athletes, while the team and the project will be headed up by Chris David, a former skier for Great Britain and a national coach. The team of 17 skiers and snowboarders includes Emirati and expat men and women of various ages, according to Ski Dubai owner Majid Al Futtaim. 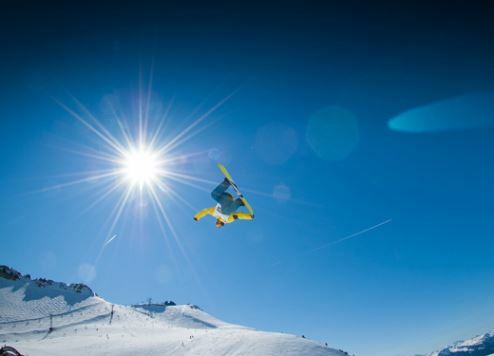 The talented team spans alpine skiers, snowboarders and freestyle skiers, all of whom will be sponsored and receive exclusive training sessions with experienced coaches to develop and fine-tune their skills. Leading equipment and sportswear brands including Spyder, Rossignol and Burton will kit-out the team and in addition to the British experts brought on board to spearhead the project, coaches including former Moroccan National Ski Team member Mohamed Moulay will support the training sessions. Additional top coaches are expected to join the project in the coming months. “We are extremely proud to be announcing the formation of Ski Dubai’s Sponsored Athletes Team. At Ski Dubai, we are committed to supporting the UAE’s efforts for encouraging active lifestyles,” said Ski Dubai general manager Mohammed El Etri.